As you may have seen, we’ve been working alongside our friends at La Marzocco, Cafe Imports and Workshop Coffee Co. to bring A Film About Coffee (www.afilmaboutcoffee.co.uk) to audiences across the UK. And now, we’re delighted to announce that Marco will be hosting screenings in Ireland. The Oliver Plunkett in Cork is the 2nd destination for this feature of film and coffee. On the evening of December 3rd we will welcome coffee and film lovers alike to Cork’s Oliver Plunkett bar and restaurant for a celebration of the delights of both the cup and the screen. Alongside the screening we have partnered up with Badger and Dodo to provide fantastic coffee service on the night. The Oliver Plunkett is a traditional Irish Pub, located on Oliver Plunkett Street in Cork City. If you are looking for great live music in Cork then the Oliver Plunkett is the place to be! This late bar is Cork’s home of the finest traditional music, best pints of Guinness, great atmosphere, signature Cocktails, and the most laid back and charming bar staff that you will ever come across. The Oliver Plunkett is a go-to destination bar for interesting and quirky historical and current facts about Cork and Ireland. The Oliver Plunkett is filled with interesting facts about Cork, its history and its people past and present. The walls and ceilings are lined with a collection of old pictures and photos, as well as Irish quotes and other interesting quotes. The pictures and paintings range from Michael Collins to John F. Kennedy’s visit to Cork in the 60′s, to Rory Gallagher, Tom Barry and Johnny Rotten to name a few. The Pub is full with lines of poems, songs and old Irish so that everywhere you sit or look in the bar there are interesting things to look at or read. The guys at Badger and Dodo are also working hard to make this a centre of excellence for coffee in Cork city. They are building a completely new barista station to try and really put a focus on coffee. In addition to that they have an extremely talented head barista who has been working with Badger’s staff for a few weeks. So hopefully their customers will like the change. 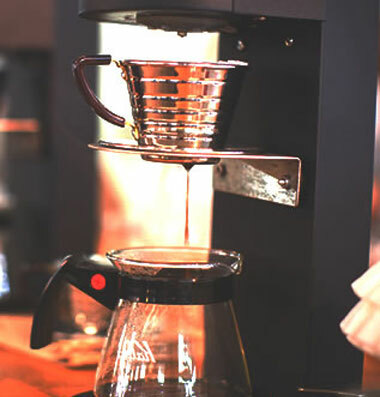 And, of course, they are using the best coffee brewer around – The Marco JET. We’ll be screening the movie upstairs that night at 7.30pm but guests can arrive from 7. Or even earlier and take advantage of the quality coffee and beer on offer downstairs. You can buy tickets here. Hopefully we’ll see you there on the night.